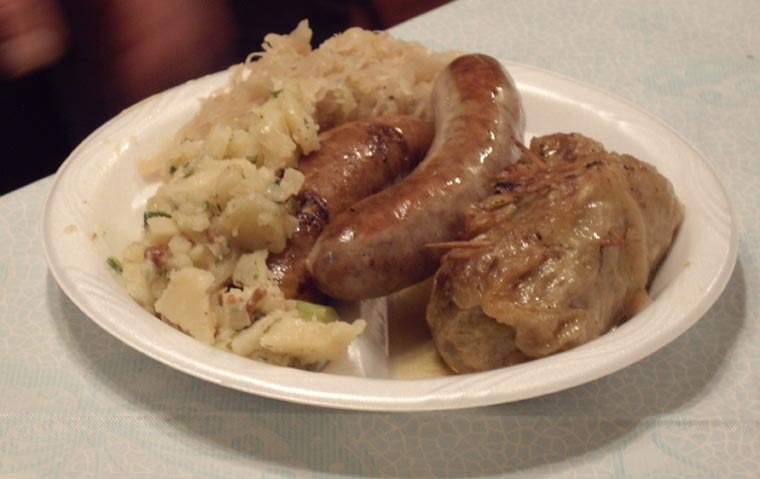 German cuisine is very hearty, full of rich flavors and meaty textures. Germans gave us Beer; Pretzels; Veal; Mustard; Ketchup; Relish; Sausage (and its derivative Americans call The Hot Dog); various ways to fix Potatoes including Potato Pancakes, Potato Soup and Hot & Sour Potatos; various ways to fix Cabbage including Sauerkraut and Stuffed Cabbage Leaves; Pickling (including pickled fish, pickled vegetables and the cucumbers which in America are considered The "Pickle"). 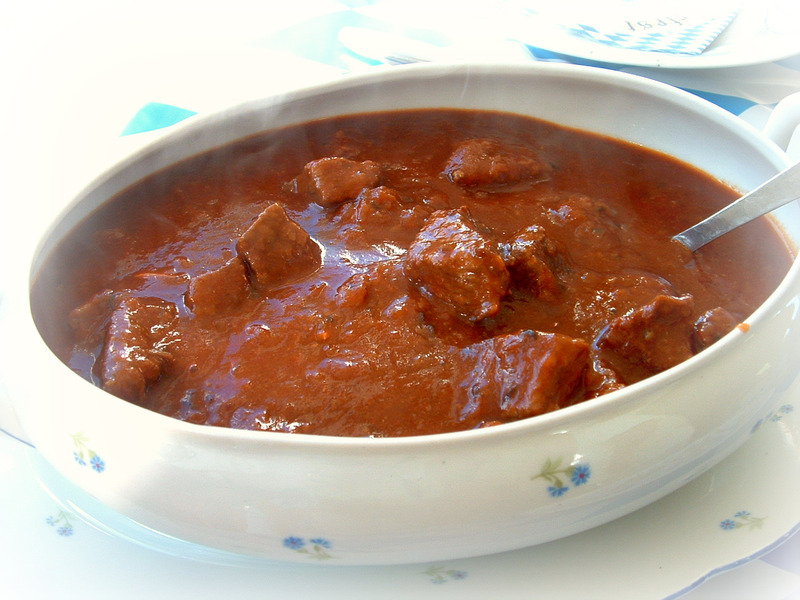 Some items Americans consider German, like Goulash, actually came from further East in Europe and were merely adopted and modified by the Germans. Goulash is a lamb or veal stew seasoned with paprika. Bowling Green has only one German restaurant and it's a hybrid. The owner and more than half of the menu are Bosnian. But if you want German food, you can put together a German Salad, Soup, Beverage and Entree, and the quality is outstanding. Gianni's advertises itself as a German restaurant but its menu is 60% Bosnian. However, that's fine, because the food is delicious. Appetizers are Bosnian Sausage, Feta Cheese, Grilled Stuffed Mushrooms and Calamari. Both German Meatball and Mushroom Soups are good. Of the three Salads we preferred either the Bosnian Feta Cheese (tossed with mixed vegetables) or the German Tomato (with onions, olive oil, pepper and vinegar). Entrees begin with Cevapcici, a Bosnian sausage made with ground beef, lamb, garlic and pepper; a classic Bosnian Gyro of sliced ground lamb, tomatoes, onion and cucumber; and Sudzukice, a Bosnian sausage of beef and spices. 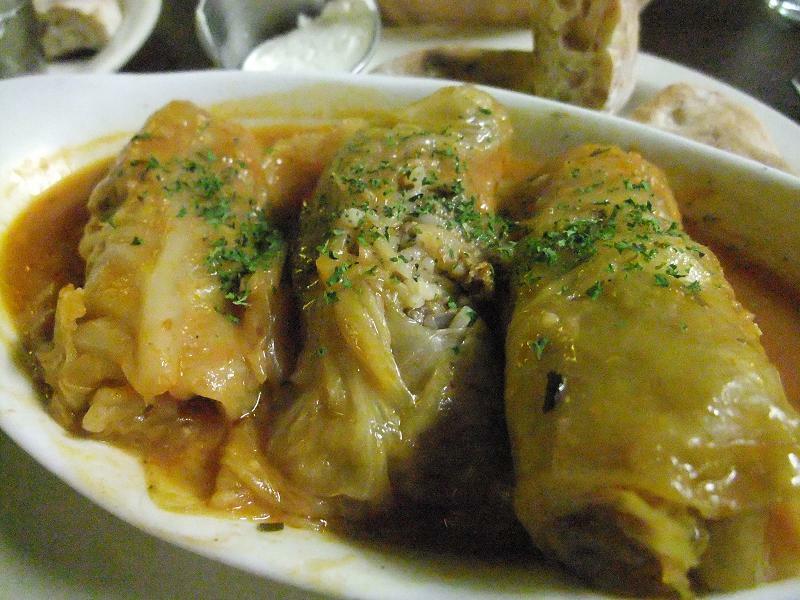 We loved their Goulash (souplike stew of beef, vegetables, mashed potatoes, paprika and spices) and Sarma (ground beef rolled in cabbage). The German entrees include Schnitzel (three sausages with cabbage). They do offer Pretzelburgers, so by request you might get a regular Pretzel. The Tea is German, the Coffee and Cappuccino Italian, and all three are excellent. Portions are large so you'll take home tomorrow's lunch. Service is gracious, efficient and professional. An adjacent store sells teas, coffees, cookies and candies from Germany and Bosnia. 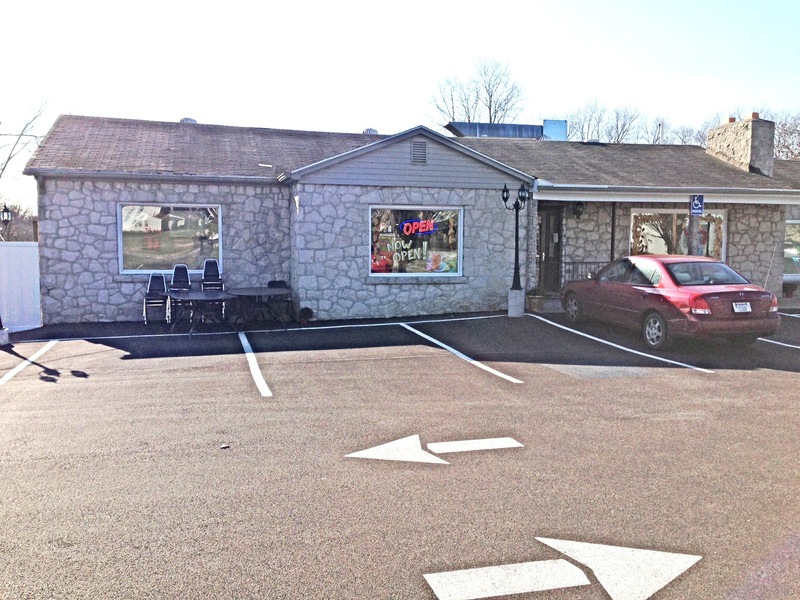 603 Old Morgantown Road (the road turns out from the WKU campus). 270-495-1554.